Data recovery is a kind of technology that retrieves lost data or partitions from damaged or corrupted storage devices, such as hard drive, SSD, USB drive, virtual disk, memory card, cell phone and more. As the most common storage media, hard drive has high tendency to suffer from data loss. Files on hard drive may get deleted or formatted accidentally or on purpose, and operating system may go crash due to various reasons. Besides, hard drive itself may break down resulting from logical or physical damage. What if data gets lost from hard drive and you failed to obtain a backup of essential files? How to recover lost data from hard drives for free? There is no need to be panic when data loss happens to your hard drive, for present data recovery technology provides solutions and tools for both common users and computer experts. This articles mainly talks about how to recover lost data from hard drives with data recovery freeware. There is free hard drive recovery software available to help you recover lost data from hard drive, for example Eassos Recovery Free. 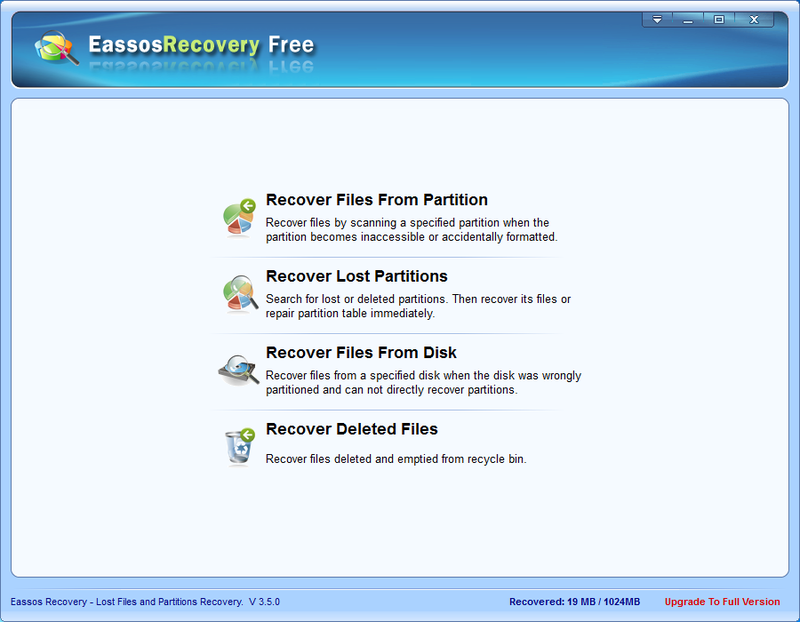 Eassos Recovery is easier to use and it has improved file searching ability, so that it can gain best recovery result. 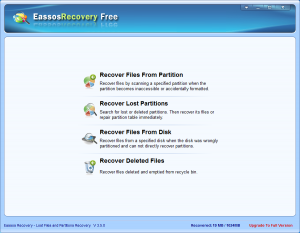 Eassos Recovery Free is powerful enough for common data loss situations, and if you want a much better result, then try its full version—Eassos Recovery. 1. Install Eassos Recovery Free to your Windows computer and get it started. Note: do not install the program to the partition that needs recovering lost data. 2. Select correct recovery function and enter next step. 3. Click the drive letter that lost data was stored on, and click the button “Next” to start file searching process. Note: how long the file searching process lasts depends on the size and speed of the hard drive being scanned. All you need to do is waiting the scanning process finishes. 4. After Eassos Recovery finishes file searching, it’ll lists lost files. You can select files and copy them to another partition or hard drive. Follow these steps and you can increase the chance of successfully recovering lost files from hard drives. This entry was posted in Data Recovery and tagged hard drive recovery software, how to recover lost data from hard drives by EASSOS. Bookmark the permalink.